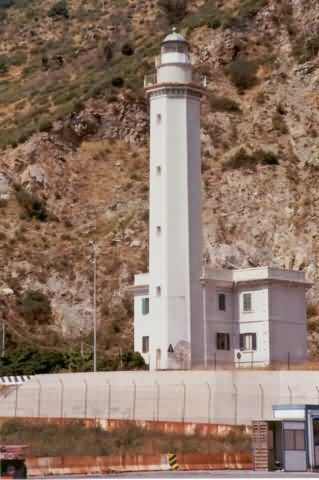 The Cape of Vado (Capo di Vado) can be recognized from a distance for it's lighthouse, an octagonal white tower leaning on another white building. Coming off from sea , while crossing the cape, two high funnels (chimney stalks) can be seen painted with red and white stripes. After the harbour there are different wharfs/ piers: on the east side of the Enel one, there is the Incorvaia shipyard, and it can be recognized because on the drydocks??? near it you can often see some sailboats. The lighthouse can be seen from the Savona-Ile Rousse and Savona-Bastia ferries in Vado Ligure.